Our May 2018 featured blogger is ThrifDee Dubai. 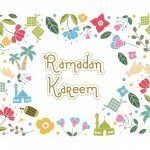 ThrifDee Dubai is a proud Cockney Muslimah blogger! Born & raised in London England currently residing in Dubai UAE. An expat, mum of two, trying to be thrifty in Dubai! I began blogging officially August/September 2017. I had always admired bloggers as a whole & had an urge to want to start a blog, of my own, but being quite shy & lacking the support from people I know, I held back. Until I spoke to my friend Amira, who was starting up her own blog (whatmumeats) her enthusiasm pushed me to go for it! Initially I never thought I’d enjoy it as much as I do! Being an expat in Dubai, I was finding it increasingly difficult to live within my means. There are many temptations to splurge & throw away money, this living “lavish” comes at a price, when you realise youre spending money like water, its time to reign it in! Everything is more expensive than London & it was high time I started spending less & saving more. Having said that, I found it hard to come across a place where I can get information on discounts, events, sales, recipes, honest reviews & more … there seemed to be a gap in the market, I needed a real voice, a real person to recommend things, not a company’s website. Not advertisements… a real place where women like me, can get all of that in one place…. that’s when Thrifdeedubai was born! It’s essentially a lifestyle blog with a focus on being thrifty in Dubai and beyond! Sharing deals, events, parenting, recipes & lifestyle hacks. Thrifty Dee (me) in Dubai! Not having the support of loved ones/friends. I find strangers I’ve met via various blogging groups have been much more supportive than friends! It hurts that a friend won’t even click “like” or share, but blogger friend will share all of your stuff & give you amazing support! That’s why I love the blogging community! AS A PARENT, DO YOU STRUGGLE TO FIND THE TIME TO BLOG? HOW DO YOU MANAGE YOUR TIME? 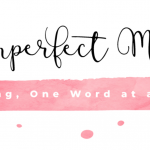 HAVE YOU EVER FELT OVERWHELMED WITH BEING A MOTHER AND BLOGGING ASWELL? Its hard to find a balance, as all mummy bloggers will tell you, I try to post twice a week & get most of my main work done while the youngest is at school I don’t really have a schedule because sometimes, I can have more than one idea for an article….. for a long time I was all over the place with the blog, at points I felt very overwhelmed & wanted to give up! But then I realised I just need to take more control of my organisation skills! Now I’m using One Note, any time I have post ideas I save it there & I’ve found this way much more easier to work with because if I’m stuck I can just go through my drafts & work with what’s relevant at that time! …. 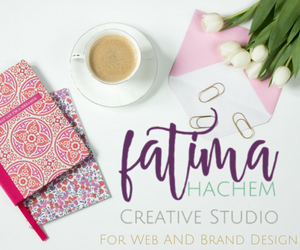 social media & sharing takes up most of any bloggers time, so I’ve tend to have days for sharing, days for creating graphics in Canva & days for post writing. This seems to have been more easier to manage. Alhamdulillah I’ve had many enquiries & taken up a few offers on reviews, but it’s hard to say no when you’re trying to get off the ground, but I feel it’s best to value yourself & not say yes to the 1st thing that comes along & insha’Allah better opportunity will arise! It’s difficult to get noticed when companies are only interested in your “numbers” slowly, slowly my social media & engagement is growing, so insha’Allah with time! I think blogging is a marketing channel at best, so I can see it ever increasing in popularity, especially for people who want to see real feedback on items they’re interested in, I’d much prefer to see a real person raving on about a product, than to see any advertising! 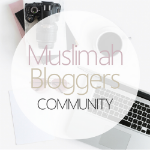 To grow my blog with steady traffic, have a bigger following, attend blogging events & insha’Allah collaborate with other bloggers & companies. Decide what your voice will be, be YOU & don’t get disheartened because “Julie down the street” never shares your stuff… you don’t need that kinda negativity! Make a plan & stick to it! Research, research, research! There’s plenty of info on Pinterest for new bloggers, familiarise yourself with the tools needed, don’t spend anything in the beginning. First concentrate on quality content, the rest will flow into place. So cool! I love this blog! Super fun to get to learn a little more about Dee and her blogging journey. I love Thrifdeedubai! Dee is one of my favorite bloggers! I’m so glad you featured her. 🙂 Love the feature & how genuine she is! Dee! So excited to see your amazing blog get recognized! Also, I will be so bold as to include myself as a blogger friend you mentioned and I couldn’t be more thankful for your support! Keep it up girl!